As a Coca-Cola bottler, we’re optimistic about The Coca-Cola Company’s decision to invest in BODYARMOR SuperDrink by acquiring a minority ownership stake. During their seven years as a company, BODYARMOR has already shown tremendous growth that is backed by a top-quality product and an experienced executive team, including the founders of both Fuze Beverage and vitaminwater. 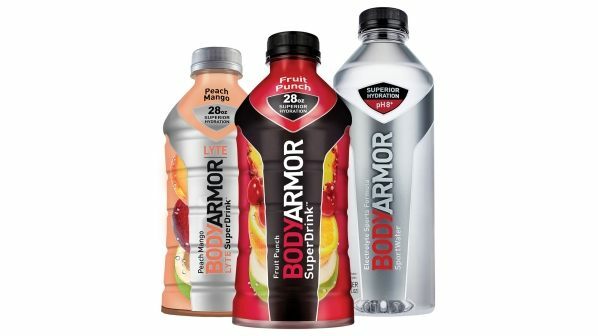 BODYARMOR has quickly made its presence known in the sporting scene. The top-grade sports beverage offers a variety of benefits due to ingredients like coconut water, vitamins, and plenty of electrolytes. Their three major product offerings (BODYARMOR Sports Drink, BODYARMOR Lyte, and BODYARMOR Sportwater) have all received great reviews as the company continues to expand both its brand name and physical presence. The drink has also been a hit amongst athletes, with superstars like Mike Trout, James Harden, Richard Sherman, Klay Thompson, Andrew Luck, Anthony Rizzo, Dustin Johnson, Skylar Diggins-Smith, Mookie Betts, and Megan Rapinoe adding their name to the brand’s marketing. Basketball legend Kobe Bryant even famously invested in the company, and has received plenty of positive press as the company continues to expand. This acquisition makes provision for BODYARMOR to access Coca-Cola’s North American bottler landscape. 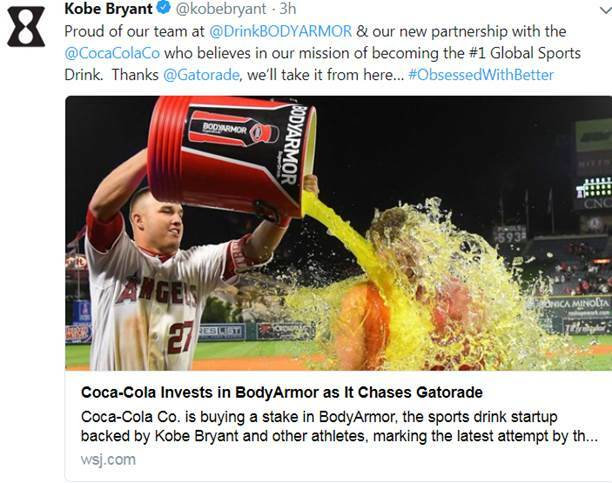 Where distributed, BODYARMOR could enhance the Coca-Cola System’s sports drink category and expand the (often enjoyed) options for customers and consumers in local markets. The Coca-Cola Company will have the ability to increase its ownership in the future, providing both companies a positive outlook, growth opportunities, and more options for our consumers to enjoy.